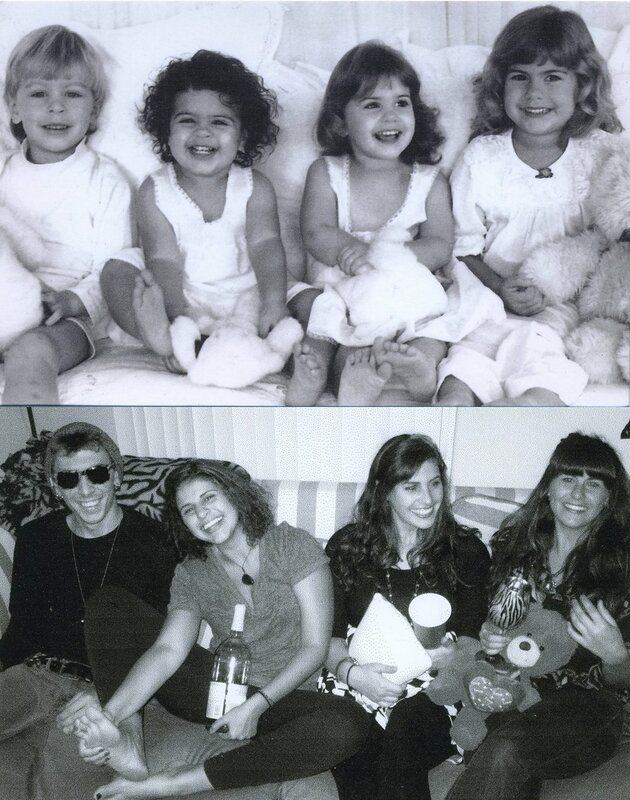 "Though my parents rarely got along, it felt like music was the one thing that brought them together. My favorite moments were when a song would come on and they would both react in a positive way; those were the moments I subconsciously noted..."
"It's funny cause I never seriously thought I'd learn to play guitar, I just loved to pretend..."
"I got a couple kid drum sets when I was little... both were destroyed in a week"
"I do miss those days when it was just about playing for the fun of it... innocent..."
2004: Trevan (Drums) with his first band Dimentis at El Camino H.S. "Family gatherings were a huge part of my exposure to music and the kind I hoped to make"
"Though I was just the drummer, The Sound of Ugly was practically my dream band"
Trevan cites movies as having the biggest influence on his musical sense, taste and style. Movies like 'The Matrix,' 'Mortal Kombat,' and 'Blade' were major influences for his 'InsecuriT' and 'SpiritualiT' albums. Trevan's love for music began long before he was even born; when his mother, Gail, would go to his father Charles' concerts, while pregnant with Trevan. His father's music would have the biggest impact on him; being the background of his parents' wedding, where his mother was already pregnant with him, as well as his own birth (His father's song 'Spring' was played seven times in the delivery room, while Trevan was being born). He also frequented his dad's gigs as a toddler. Showing instant signs of talent, Trevan was beat boxing and mimicking instrument sounds with his mouth before he was even a year old. His family still makes jokes about his first word, "Gunga." His mom would give him pots and pans to play with whenever he had to stay with a babysitter or relative. 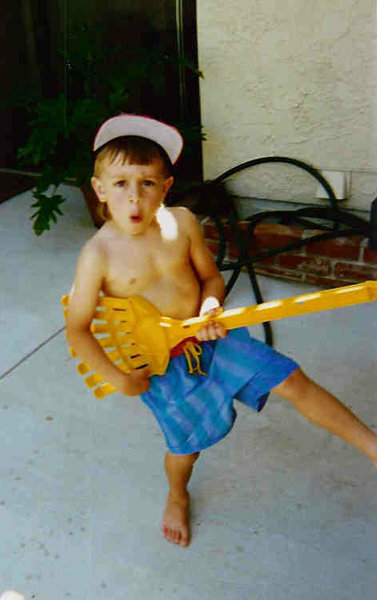 He also loved to mimic his dad's guitar playing with rakes and brooms. His cassette walk-man was his most prized possession growing up. Dawning his headphones whenever he could, he listened religiously to his dad's band and Joe Satriani's 'Flying in a Blue Dream' tape. His mom would make custom mixtapes to listen to when driving to the beach or family get-togethers. These mixtapes introduced Trevan to artists like Alice in Chains, Oasis, Bush, John Mayer, and Deftones, to name a few. It was also during these car rides that Trevan would start visualizing himself on huge stages in front of massive crowds of people. Trevan also cites his family for his musical eclecticism; hearing artists like Alanis Morissette, Stone Temple Pilots, Earth Wind and Fire, Macy Gray and Pearl Jam at family pool parties. He also thanks his cousins for introducing him to the Spice Girls, Britney Spears, and N'sync. Though Trevan wasn't always allowed to go to his dad's concerts, he relished the chance to 'help' his dad set up the afternoon before the gig. "Just the excitement of everyone there getting everything ready for that night. Even then, I could feel the anticipation and it was addicting." By the time he was 11, Trevan had begun 'messing around' on his close friend's drum sets; feeling more and more ready to make drumming his priority. 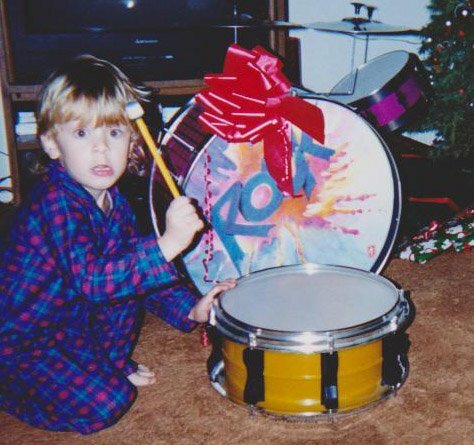 By 12, he had his own drum set, and was playing in his first experimental/metal band with friends from school, 'Dimentis.' He quickly developed a local reputation as one of the best drummers in the valley. By 15, he was in two to three bands at a time, with genres covering metal, alternative, pop punk, and rock. He was also developing a growing interest in songwriting and eyeing the tool that would help him with it; the guitar. By 16, he had begun writing his own songs and started a project he could play guitar in, '36 Alterations.' He also joined a metal band, 'Erathma,' on drums. By 17 he had been playing shows regularly with Erathma, while recording his first EP for 36 Alterations, 'Trigger 8.' He recorded with schoolmate, producer, and future 'Sound of Ugly' band mate, Daniel Braunstein. His primary co-writer, Bernard Jackson, handled most of the lyrics and vocals on the EP. At 18, after self-releasing 36's 'Trigger 8' EP around his high-school (El Camino), Trevan decided to assemble a band. With Bernard on vocals and Ofer Lavi (Erathma) on lead guitar, he recruited Loren Piyavanich (from his first band 'Dimentis') on bass, and schoolmate, Blaise Iacofano, on drums. The next two years were spent solely focused on 36 Alterations and Erathma. Rehearsing, playing shows, and recording as much as possible. Doug also offered to finance Trevan building his own studio in exchange for engineering time. Also around 2011, Daniel Braunstein had reached out to Trevan to play drums in a local band 36 had opened for many times, 'The Sound of Ugly.' Knowing the songs Ugly had, Trevan eagerly joined; making an exception to his 'no more bands' rule. At 22, Trevan had his own studio setup. Shortly after, he quit his day job to pursue music full time. While producing local artists including rapper Haktiqs, singer/songwriter Leah Tomasso, old bandmate Bernard Jackson, and a handful of others, Trevan spent the majority of his time developing his own songs and practicing what he was learning from studio-time with Daniel (recording The Sound of Ugly) at his own studio. By 24, he had produced a complete mixtape for Haktiqs, two albums for Doug, an EP with Leah, songs for his own catalog, and released the full-length 'Lapse' album with The Sound of Ugly. At 25, with creative-directions changing, he parted ways with The Sound of Ugly, and began stepping back from producing other artists as frequently. He decided to focus on being a solo-artist; performing his first shows at The House of Blues and Whisky-a-Go-Go in Hollywood (See Video Section). At 26, Doug funded the release of Trevan's first Self-Titled Solo EP, and music video, 'Above It All.' 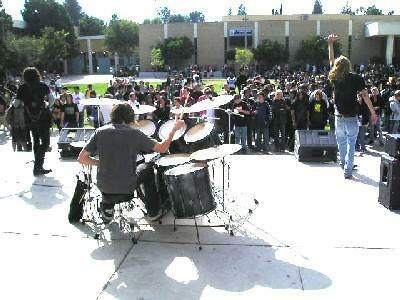 When he wasn't in the studio, Trevan played numerous shows around the valley; including multiple at his old high school. He and Doug also turned 'Modern Classix' into a song catalog for sync-licensing and placement. At 27, in light of his parents' separation, Trevan decided to shift his sights toward being a professional songwriter; aiming to write for other producers and artists while living out of his car and couch surfing. But after multiple experiences working long hours with little-to-no return, little-to-no control or say on the song's direction, and under the stifling guidelines the professional songwriting world seemed to have, Trevan knew he had to try something else. At a dear friend's suggestion, he went to stay with other close friends in Malibu; uncertain what his future would be. He got a job as a barista at a cafe where customers were the likes of Rick Rubin, Miley Cyrus, and Chris Martin; exciting but bittersweet. Trevan was increasingly anxious and depressed, becoming convinced he may have missed his chance and may not have a place in the modern music world. After a few months, he saved up enough money to move into a guest house on a property in Malibu Canyon. At his dad's encouragement, he decided to invest and upgrade his studio in hopes of re-invigorating his creativity and sparking a new artistic identity. In early 2018, after many talks with another close friend, Trevan decided to leave the cafe and once again focus solely on music. Suddenly, after many days with no sign of progress and many nights of heightened anxiety, Trevan received a text message inviting him to perform cover songs on weekends as a paid gig in Newport. It was a huge sigh of relief to be offered a paying job in the field he was passionate about. He was also asked to come back to the cafe in Malibu part-time, which he considered. But Father's day weekend would prove to be an even bigger turning point for Trevan, when he was asked to perform at a private event and received more money in one night than he had made for two weeks of work at the cafe. He took it as a sign to trust this path and devote as much time as possible to performing; turning down the opportunity to go back to being a barista. It also helped that his dad, who he still considers his biggest critic, had nothing but high praise for him as he busked for fun outside the San Diego Zoo on Father's day. With the stability of his work as a cover artist, Trevan decided to take a true leap of faith with his personal artistry. Without setting any expectations, he independently released four very different genre albums (what he calls the 'Mystic TriniT' Mixtapes), as a statement to himself and others that he is finally ready to own the truly eclectic artist he's always been. "It has always been my mission to let people know that it's ok to be whoever they are, wherever they are, however they are. But until I myself truly own what that means for me, those words remain just words. This step, while still feeling somewhat insignificant or even unnecessary, feels incredibly liberating and freeing for me. I've wasted so much time trying to consolidate and package myself to fit the mold of what the world deems marketable or 'proper branding.' And it's really just an obsolete methodology that's long overdue for an upgrade. I pray I can be part of that upgrade and transcendence into a vaster level of artistry for both myself and others. I look forward to the day when we accept as a culture everyone's natural versatility and not look at it as some sort of flaw or square peg that needs to be pounded into a round hole." "My fans mean the world to me, cause they supported me when I didn't even totally support myself... I am forever grateful to them for that"